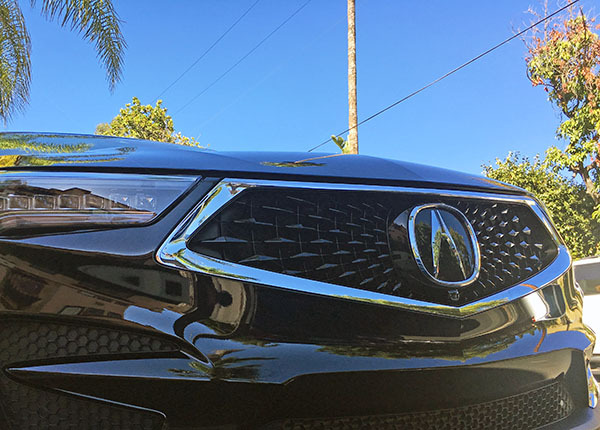 Burlappcar: Acura RDX test Drive coming up. As you can see, I just got a new Acura RDX for the week. This is pretty much the Accord's SUV cousin. So far, I am enjoying the super luxurious interior. Although not so much the overly complicated infotainment. Unlike the super easy to use Touch screen from the Accord, this has a "not so easy" trackpad. As usual, I will try to answer any questions you might have. What do you think about steering and highway stability? I'd appreciate your thoughts comparing this to the honda CRV. Is the extra $ worth the step up to the RDX? Does the RDX feel quicker or slower than the Accord 2.0? Vince, when driving it, do you see the huge front top hood, the top fenders? I'm about 5'10, and when I drove the CRV I felt that I was driving a big boat (looks wise). A big turn off.
. The steering seemed pretty light at first. At least in the "Comfort" mode. But I did get used to it. And it feels just fine now.
. I see what you mean about the top fenders. There are unnecessary creases/bumps on each side. Like the CR-V. Weird and kind of distracting.
. My test car has an all black interior, so the suede part doesn't really show. The seats are very comfortable no matter what.
. It is very quick, but doesn't feel any quicker than the Accord. And it really doesn't have to be.